Small to mid-size companies that are looking to get started with online training. 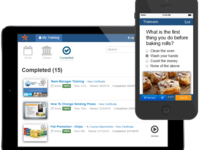 Create, share and track online training for your employees, partners and customers. Traineaze is an online training platform designed for small to mid-sized companies - easy to get started and easy to use! If you know how to use PowerPoint or shoot video with your smartphone, you can create online training with Traineaze. 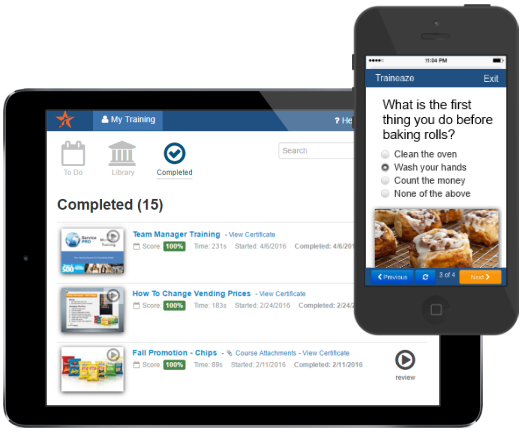 Traineaze gives you all the tools needed to create and share awesome training today. Pros: how easy it is to use, you could literally figure it out all by yourself uploading and making your own tests is very easy. We have 20+ different testing modules set up and it took no time at all. This is by far the best we have worked with. Hi Cheri - Thank you for your feedback and kind words, we really appreciate it! Pros: Great system for small company and will grow with you. Ease of use, price, flexibility, tracking of employee's completions. It enables a new or small company to have all their training material online easily and affordably. Cons: Could look prettier, wish it had an app, it would be great if after an employee has completed and passed a training that the employees could reference the material without paging through the training that way the training material could be an easily referenced library of knowledge for the employee. Overall: Field personnel can train on topics anytime, anywhere. Just this week two employees went through a training module while waiting for the building inspector and concrete to show up on the jobsite. I was paying them anyway, but this system made that time valuable. Hi Shauna - Thank you for the feedback, we really appreciate it. I'm not sure if you saw the customization options, but you can change the color scheme, upload your logo and modify other settings to make it look more like your brand. For reviewing completed training, there is a table of contents that the learner can use to skip to just the part they are interested in. You could also attach a PDF version of the course as a reference document and make it available only after the learner has completed the course. Then when they are done, they could access/save the PDF whenever they want without opening the course. Overall: I absolutely love Traineaze. When I discovered it in my research while shopping for an online platform to conduct my training courses, I was stunned by what it offered for the money. Whether you buy the least expensive option or the most expensive option you get the same functionality. That blew me away. I also love how responsive they are with customer support. No matter the time of day, I always receive immediate feedback and help. They know their product and are open to helping me get the best use out of the platform. I'm a small business and I love the professionalism this platform offers me. It makes me look and feel like a much bigger business. As my business grows I can still grow within this platform. Thank you Latrina! We love working with you! Traineaze makes me shine like the star that they are! Comments: I found Traineaze in Q4 2015 when evaluating competitive training software platforms for a client. After considering my options, I chose to recommend Traineaze because of how easy it was for me to set up a demonstration, because of the excellent customer support that I received immediately whenever I had a question, and because of the great investment for the money. The platform has been an absolute pleasure to work with for setting up training programs for my clients! It does everything I need it to do and the ability to customize and report on data has been fantastic. I have peace of mind knowing that the Traineaze support team is there whenever I need them and in my experience they make ongoing efforts for continuous improvements that just makes the product better and better. Not once have I experienced a problem with the product, the process, or the awesome people at Traineaze! I can't thank you enough for setting me up for success with my clients and I would not hesitate to recommend you to anyone who is looking for a fast, flexible, and efficient training platform! Thank you so much for the kind words Crystal! I'm glad both you and your clients are happy. We have really enjoyed working with you! Cons: Tools available for tracking and managing progress could be improved to more easily allow customized messaging and reporting. Overall: Training 500+ sales personnel in 125 locations across the US and Canada. Creating content in the Traineaze platform was super easy and the on-boarding process has been relatively pain-free, even among a largely computer illiterate training audience. 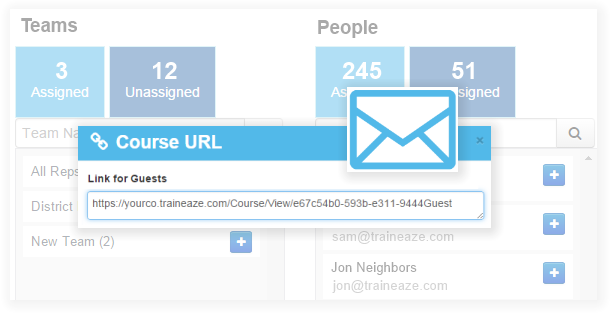 There are lots of platforms with more bells and whistles but few that are as user-friendly as Traineaze. Very happy with the overall experience. Recommendations to other buyers: Chris has heard it already! Thank you Nancy for the kind words! It's been great working with you and seeing how your training program has grown! I appreciate the feedback about allowing further customization with messaging and reporting. We are always working hard to improve Traineaze and your feedback is very helpful. Pros: Ease of use and great communication with tech support. Cons: Really cannot think of something. They have addressed any concerns I had as well as there were times I had put out a feature request to be informed that it was in development already. They are good at predicting features a customer would want. One thing I would not mind is the ability to download the course as a pdf for archive purposes. Overall: I am helping my company set up training courses for our clients and has it been extremely easy to do what I want. The support team has been very helpful and has been very open to suggestions. I have seen many great features added as they have develop the platform. Thanks Calvin for the review. It's been awesome working with you and we definitely appreciate all the feedback you have given us. Good stuff! Cons: Have had a few issues with enrollments, and think you should be able to delete users. Overall: Our company has been using Traineaze for several months now. We have been able to quickly put together online trainings for hundreds of users that are interactive and effective. The support has been personalized and second to none. Changes and improvements continue to improve the program. I thoroughly enjoy using this program. Thank you for the review Teresa! I made note of your feedback about deleting users. While you can't "hard delete" a user, you can inactivate them so they can't login and they stop showing up on dashboards/reports. This way you can always access training records of old accounts. so beneficial to our business! 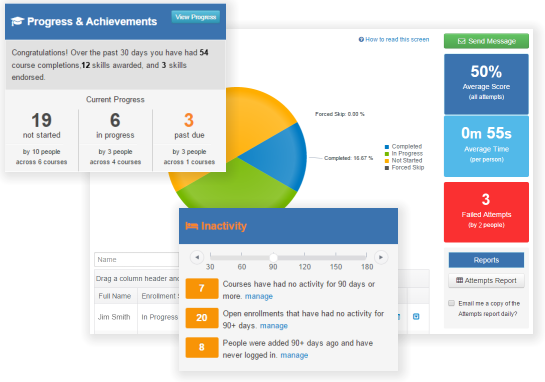 Overall: tracking and managing people in training so much easier and effectively. Hi Natalie - Thank you for the review, we appreciate it and your feedback. If you load Traineaze on your smartphone (via the phones web browser) you should see it looks a little different than the computer version. We use what's called "Responsive Design" so the application looks/behaves differently depending on the device you are using. Cons: Would love to be able to create screen recordings right from Traineaze. Overall: We are a geographically dispersed team that provides support to numerous customers throughout the US and Canada. Our Training challenges were many and solutions few. Traineze provided an answere to all of our challenges and turned one of our weaknesses to a powerful strength. Now our customers ask us to use our Traineze training modules for their own employees!!!! Thanks so much for this wonderful product !! Thank you Colleen! It means a lot to us that you are finding Traineaze so helpful with your business and that training has become one of your strengths. Good stuff! Pros: Traineaze allows you to Customize and edit anything you want to. I love that you can make a short quiz after each section of the videos we use. Cons: I wish it was a little easier to use. Something are a little confusing. Maybe a "how-to" video would work. Thank you for the feedback Crystal! If you ever have any questions or need assistance please feel free to call us or email us - we are always happy to help. We'd also be happy to do a one on one webinar with you to cover anything you need assistance with. Good program for the price! Comments: We use Traineaze for a clients employee and Brand Ambassador training. The set up is easy, however, the only downfall is that I wish we were able to import powerpoint slide transitions to make the presentation more interesting and to flow better. Overall, login for everyone is easy and editing content is easy. I would recommend for an employee training program. Thank you Lindsay! I am glad you are finding Traineaze easy to to use and that's it's helping with all your different training needs. I greatly appreciate the feedback about slide transitions. 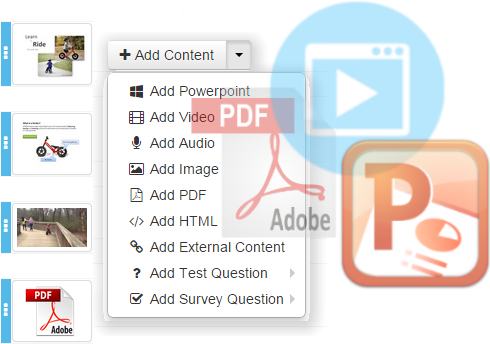 One thing you can try is when you upload your PowerPoint you can choose to convert it into a single content item, the slide transitions should be preserved. However, this may not be ideal for all situations - especially if you want to add additional content between slides. Overall: When I decided to build an online training program for my staff, I went to google and was overwhelmed at the choices. Once I started looking in detail, I saw that most of them were focused at big business, not a small business like mine. What I liked about Traineaze, was that it scaled depending on your business size. My small business could actually afford to do this! I then thought, well for the price, it wont be that great. Boy was I wrong. It has so many great features. It is so easy to use as well. I had courses created in no time for my staff. The other great thing is support is so quick. Within the hour I have a response to my questions. Additionally they do not cap you on how many courses you can create. The pricing structure is about how many ACTIVE users there are. We use Traineaze for our direct sale company! Awesome experience working with the company and customer rep! Pros: The automatic emails that I can send to my employees as well as the ease of looking and seeing progress of the employee. Cons: I really would like to be able to personalize the look of the website a little more with colors, backgrounds etc..
Hi Spencer - Thank you for the feedback, we appreciate it! It's been great working with you! There are options to customize the colors, upload your logo, modify email templates and more under the Company Settings section. Comments: Traineaze is a good fit for our company. We were looking for an easy-to-use platform to train employees both internally and externally, and the available features easily allowed us to do this. It would be nice to allow for pauses in the training videos to ask questions instead of having to create this within the video, but overall I would recommend Traineaze. The features and functionality are what we were looking for. I have not been in touch with the customer support yet so I cannot comment on that. Was very pleased with the customer service and prompt responses to all of my questions. Pros: Functionality and ability to customize training plans. I like the ease of categorizing courses into collections, as well as being able to track the progress of my clients. Cons: The functions are a bit overwhelming at first but once I had an understanding of the flow I started to become at ease with the tools. Overall, Traineaze a great tool for delivering training content. Overall: We looked at several LCMS before settling on Traineaze. What bought us back was and finalized our decision was the support. When we need something, we call and Chris always answers, there is no going through several different prompts. We have also asked for a few modifications to the system to meet our needs. Chris has always been very friendly, informative, and responsive to all of our request. So far, all of our requests have been quickly fulfilled. Unfortunately, it is not easy to find this type of friendly and responsive support. We are grateful to have found Traineaze, and find it to be of great value. Thanks Jason for the review and I'm happy to hear you are getting great value from Traineaze! Overall: We used Traineaze to create our own E-Learning Portal which has been very easy to use and represents the best solution on the market that we could find, when you include all attributes including price. Thanks Kevin! It's been great working with you guys! Pros: Easy to use for someone with little-to-no experience. I love being able to award certificates upon completion. Cons: Nothing comes to mind at this time. Overall: We use Traineaze to share videos and information with our new hires. I love being able to do quizzes and offer certificates after someone completes their training. Having no previous online training experience, I found getting started was simple. It seems like the more I use it, the more I find it can do. Traineaze is exactly what we were looking for. I have only contacted support once, but they were very helpful and responsive. Recommendations to other buyers: Highly recommend. Overall: I am so happy that we have switched to Traineaze. it is so user friendly and our clients that take the courses have no problems. They love it and we love it. It is very easy to set up all of the courses and assign people to them. If we have a problem the tech department is great to help us and fix it to meet our needs. Would recommend to everyone! Thank you Cheri for the kind words! It makes our day to hear how much you and your clients love Traineaze! Pros: Easy to use; automatically sends certificates for our users; very helpful tracking system. Overall: Our small business has loved using traineaze. It's very user friendly and if we ever do have questions, we've found the customer support to be fantastic. It's personalized and fits our needs perfectly. We'd highly recommend this to others. Thank you Kaitlin! It's been great working with you! Pros: It has clear logic with great mobile capability. 90% of our company officers and staff work in the field, so this is a great option for our ongoing training. It requires very little admin time and resources. Cons: We are just getting started, so no complaints yet! I hope that the automated emails that send to each user execute properly, since I know this can sometimes be a challenge. Overall: Our company operates 18+ hours per day and mostly at our client locations. Meetings for training are costly and very difficult to schedule. This provides a great solution to ongoing training needs and onboarding new hires. Thank you Dena for the kind words! I am glad to hear Traineaze is helping with all your ongoing and new hire training. Comments: We have a very large company with many employees and 20 locations, so needless to say getting any information and/or training to everyone has been difficult and time consuming. Traineaze has provided the ultimate solution for our situation. The program is exceedingly easy to use, intuitive and complete. The ability to "assign" the training module to specific staff, and follow their progress is fantastic. Additionally, it allows each staff to view/train on their schedule, without undue interruption to busy schedules. From production, to testing and tracking... the Traineaze developers have produced an outstanding service and product. Pros: The ease of use makes my work life a great deal easier. I am able to create a web based training one time and have new staff members utilize the training there after. Overall: Time saving, ease of use, save financially since I do not have to be present at all trainings offered. I love the feature of survey and test as well as the certificate of completion. 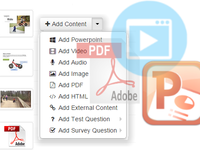 I think for the videos to work in PowerPoint, you have to embed the raw video, it can't be a link to the video. Easy to use and very flexible! Pros: As a small company experiencing rapid growth I needed a solution that is easy to use, scale able, yet affordable. I found all three in this software. Cons: I don't think there is an app, since my guys are in the field an app to take quizzes and training would be ideal. Overall: Ease of use, easy to train someone else, customized training for my employees. Hi Candi - Thank you for the feedback, it is greatly appreciated! While there is no app in the app store, Traineaze is optimized to work across smartphones, tablets, desktops and laptops. It will automatically adjust to your device's size/format enabling your people in the field to receive their training and quizzes. I'll reach out to you to discuss. Comments: I have been impressed by the high level of support Traineaze has provided since day 1. With Traineaze, I have created an intensive Online Training Program for our mountain bike guides around the world. Traineaze has allowed me to relay important content through a combination of written information, videos, and photos to assist with learning and understanding. Any glitch I came across while building out our training and brought to the attention of Traineaze, was addressed within 24-hours (if not immediately), which I have truly been very impressed by. The formatting function is a bit whacky: spacing, fonts, font size etc. was a bit trying, but the final result looks great. It would be valuable if the training I created on Traineaze could be turned into a printable format, so employees could have a hard copy to refer to either in print or a cloud reader style. Thank you Meagan for the review! As a fellow mountain biker, it makes me smile to hear Traineaze is helping you deliver training to all your guides around the world! I appreciate the feedback about auto generating a printable version! Traineaze - Very easy to use! Comments: Our team was seeking a learning management system (LMS) such as Traineaze for training our Sales team. 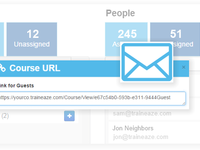 After an introductory call to familiarize ourselves with Traineaze, we immediately began utilizing it for training. Overall it was very straightforward to use and whenever we had any technical questions, their support staff was always available and responsive to our needs. Thanks for the review Mark! It's been great working with you and I'm gad you are finding Traineaze easy to use and valuable for your sales training. Great system at a great price. So much easier and better for the cost than other programs like it! Pros: Ease of use, customer service, and cost, specifically being able to change subscriptions regularly to save money when users aren't active. Cons: A few elements are counter-intuitive like how slides upload and being able to download content after its uploaded, but for the cost and great customer service, it's worth it. Overall: Cost savings, time savings, and just generally a better experience. Hi Amanda - Thank you for sharing your feedback, we appreciate it! I'd love to hear more about your experience uploading slides to see if there is something we can do to simplify it. I'll reach out to you. This gave our company a professional training platform in a day. Thank you for the review Dan! We also appreciate the useful suggestions you provided as you ramped up your product and services training! this is a great LMS system with great support. Comments: Traineaze is very easy to use! We are constantly finding new subjects to turn into a video to share with others. If you ever have any questions, please feel free to contact our support department. I am confident you will be just as satisfied with our support as you are the product. Traineaze is the most feature rich LMS for the money! Comments: We evaluated several top LMS programs and Traineaze is by far the most feature rich product for the money. The customer support is excellent. We had a suggestion about one of the features and within days our suggestion was reviewed and implemented making our overall experience that much better. Comments: Traineaze was a breeze to use. We had power points set up for lessons with basic quizzes, and it worked very well. The assignment system let us know when something was due, and the interface was very simple. It also worked great on mobile browsers! Thank you for the review Paul! It's great to hear that Traineaze is working so well for you. Comments: User friendly and customer support is excellent. Received great feedback from employees who have used Traineaze. Comments: Our rep has been so easy to get in contact with. We have had many questions and he has been very easy to work with. He is very responsive and professional. Hi Jane - Thank you for your feedback. It's been great working with you! Comments: Traineaze made it easy for us to share policy, compliance, and sales information with all our staff across all offices. It's exactly what we were looking for. The staff is top-notch and always willing to go the extra mile to help and make sure we are happy. Excited to use Traineaze as a tracking for training progress within our business. Pros: I like that you can see that assignments have been started or completed. As well as you can add new courses. Cons: Haven't been able to use it enough yet to have something that we do not care for. It has been tracking everything we need so far. Comments: Building trainings with your product is quick and simple. It makes administering trainings to our entire workforce quick and painless. Comments: This has been a great tool for us and the support has been outstanding. This is making make training our customers and staff so much easier and more effective. Thank you Joe! We have enjoyed working with you and your team! So easy to use, and the pricing structure is perfect for small businesses like ours. Pros: I like the fact that I was able to create a course within a couple of hours with no training, just with existing course content. The interface is very intuitive. Overall: Ease of use and flexible pricing structure (which makes our CFO happy). Comments: The best training platform we have used to date for both our field employees and office personal! 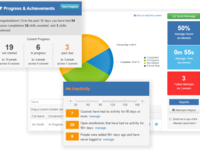 Easy to use and deploy training with the completion tracking that lets us hold everyone accountable. Highly recommend! Comments: The "eaze" of creating training on this system is second to none. You will use it and you will love how simple it is to get training out to your employees. I guess that's why they call it Traineaze. Comments: Traineaze is pretty easy to use and understand. I've had a good experience watching training videos on the software. Thank you Allison. I'm glad you are finding Traineaze easy to use! New to program, seems easy to use. Pros: Ease of use.Customer Service is excellent. Overall: I know if my employees are using it. Very intuitive, easy to use. Pros: Very easy to upload users using Excel. Keeping track of team members progress could not be easier. the option to print certificates is also a nice feature. Thank you Christian for the kind words! It's awesome to be working with you all! Comments: We were looking for an easy way to provide product training to our customers and Traineaze is perfect for this. It was easy to setup and we had our first online courses ready to go in less than a day. Thank you Vishal. I am glad to hear that Traineaze has helped improve your implementations!